Does it often make you want to drool upon the sight of movies that would often play the major drama between two people falling in-love with each other but the only problem is that they belong from two different worlds? The other one would be filthy rich and the other, works hard for a living. Even if this is the case though, they would still fall for each other but their families would have issues about each other’s familial backgrounds, culture and economic status. 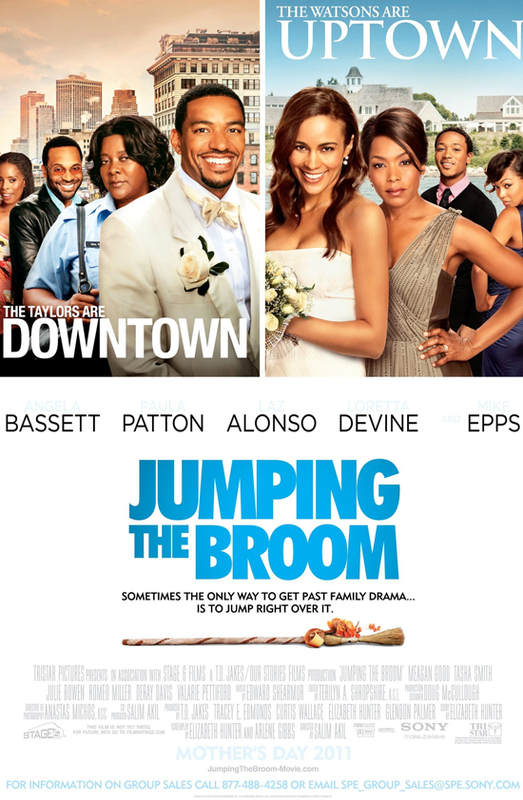 You would think that Jumping the Broom is just one of those movies but you shall figure that “sometimes, the only way to get past family drama… is to jump right over it” says the movie tag line. Martha’s Vineyard might have been a place of full confusion and raised brows when two families from diverse socioeconomic backgrounds met up to figure that they are in for a wedding treat! This movie is all about that, how two people, in order to avoid having their families telling them what to do or to simply forget about the one they love because of issues of money or background kicks in. 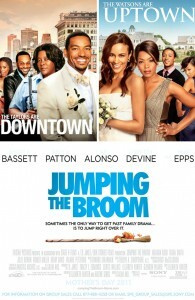 It is definitely one of those movies that would give you a hilarious approach in the otherwise dramatic situation. Love is really very powerful. For sure, there are a lot of people who would suddenly feel that there are ways when they could simply forget about how others would take their relationships to end up together. Fighting for love? Well definitely, no matter who gets in the way, if love is true, love would conquer all.